WASHINGTON — No news is good news. 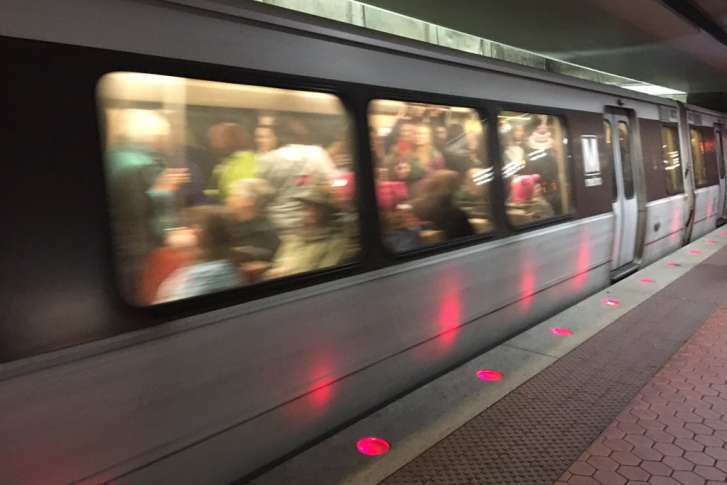 Despite the fact that Metro has shut down the Yellow Line for two weeks to repair the rails on the bridge over the Potomac River, D.C.-area commuters seemed to be managing the morning rush just fine — provided they remembered the shutdown was even happening. “I didn’t realize that, just until now,” one commuter, who identified himself as Vincent, told WTOP’s Melissa Howell at Pentagon Station. He said it won’t be too much of an inconvenience. From King Street to Largo Town Center, there should be a normal number of Blue Line trains, but riders have reported that they’re far more crowded without Yellow Line service. With the yellow line shut down, the blue line was absolutely bonkers this morning. Packed like sardines. The Blue Line isn’t the only subway line facing crowding. Delays have also hit the Orange and Silver lines to New Carrollton and Largo Town Center. Yellow line @wmata out for 2 weeks? The evening rush could see issues as well. 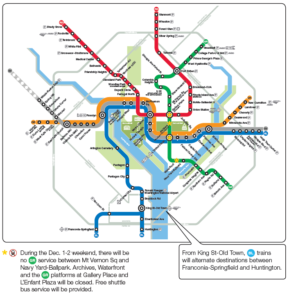 To help ease transportation pains, Metro is running free express shuttle service between Franconia-Springfield and Pentagon, and between Pentagon Station and L’Enfant Plaza, each weekday until 8 p.m. According to Ruth Mazzella, it shouldn’t be much of a problem for commuters. “We’ve done that before, because the last closure, there were the buses as well,” she told WTOP. In fact, it might be better for commuters like her. There are also other shutdowns to be aware of. 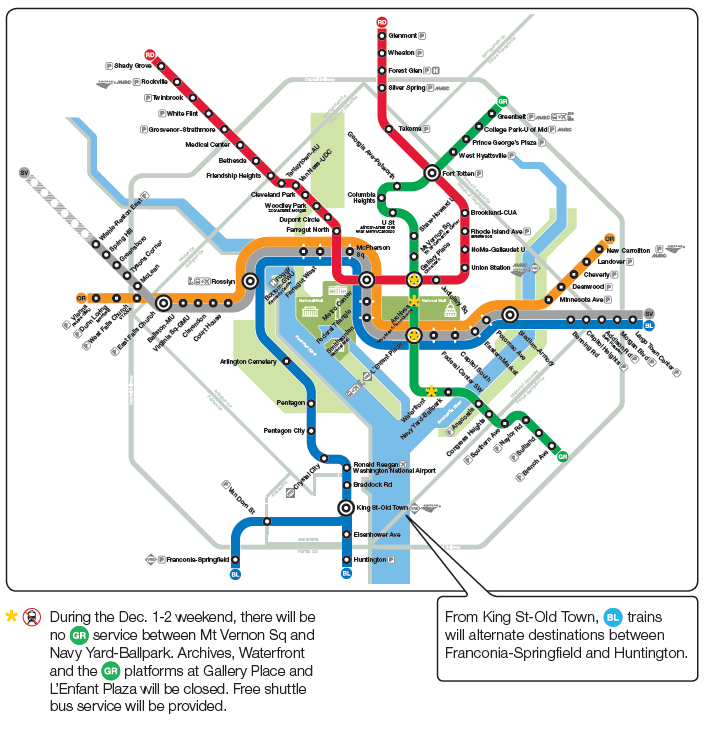 On the first weekend of the work, Dec. 1-2, Metro plans to shut down five Green Line stations. WTOP’s Melissa Howell and Max Smith contributed to this report.